This road trip took place in early November 2009. 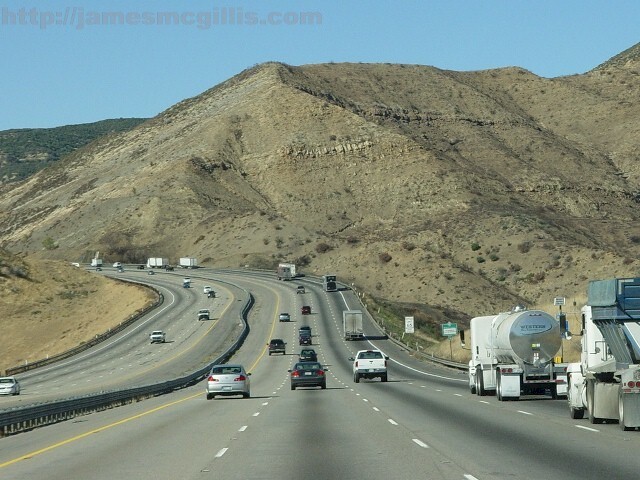 Traveling north on Interstate I-5 from L.A., a motorist must negotiate a series of mountain passes and steep grades. Before reaching the final descent at Grapevine, each traveler can expect to receive at least one wake-up call. It might be a call on a mobile telephone, or a narrow escape in traffic. For me, it was the realization that once again, I was on my way north, through the heartland of California. My first road trip, at the age of three, was on Old-99, precursor to the I-5 freeway that I now traveled. So that my siblings and I could sleep during our transit, we departed L.A. at night. My first recollection of the trip was when I awoke to the smell of overheated brakes on our 1951 Ford. As lighted advertising signs flew by my side window, my father gripped the wheel and told my mother to hang on to the door handle. Somehow, he maintained control and completed a fast rollout into the San Joaquin Valley. Flattened, dead jackrabbits littered the roadway. My father joked that they were called "flying rabbits", because you could pick up one of their flattened dry carcasses and toss it away like a Frisbee. A few live rabbits scampered back and forth through our headlight beams. 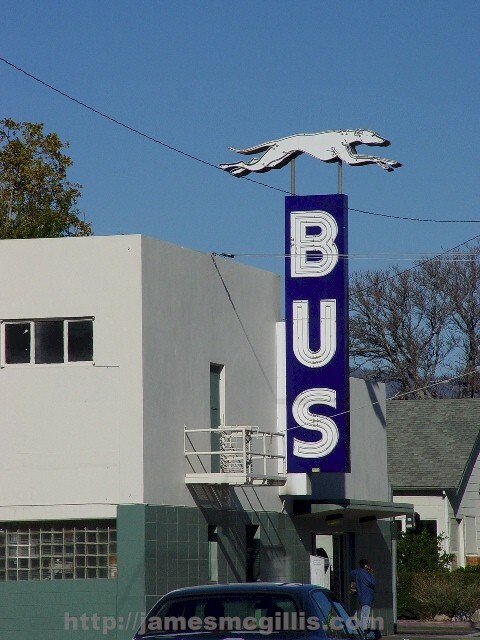 Soon, I saw a backlit neon sign that read, "Bakersfield" arched over the highway. Although I could not yet read, I assumed that a city with such a grand entrance sign must be a wonderful place. 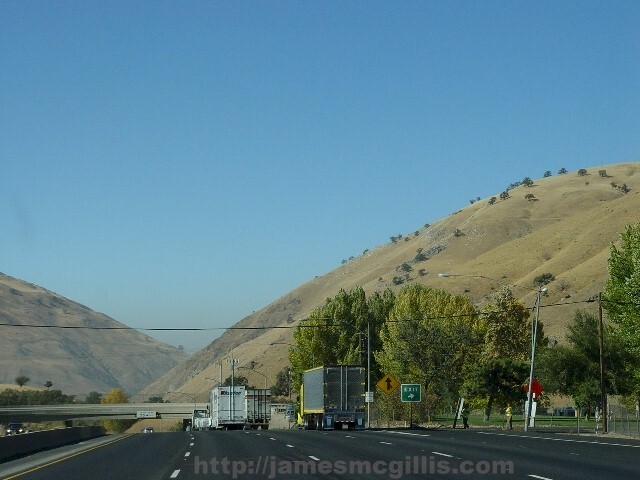 To this day, there is no direct highway link from Southern California to Southern Oregon. After the inevitable trip north on I-5, each traveler must decide which highway to take west towards the Pacific Ocean and U.S. Highway 101. Having stayed in Redding, CA the previous night, it seemed logical for me to take California Highway 299 to the former lumber mill town of Arcata, CA. 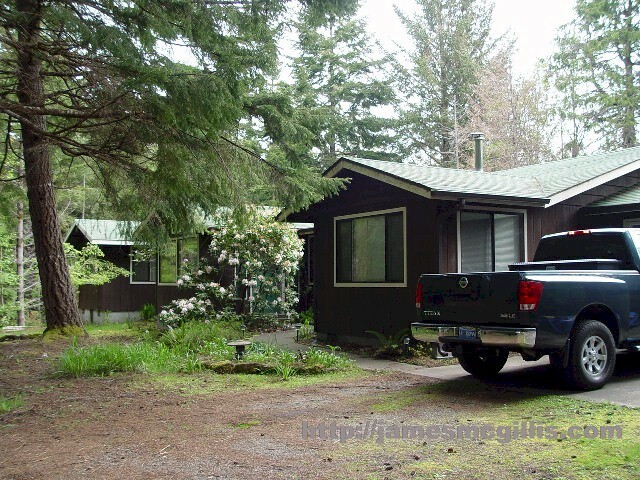 Also known as the Trinity Scenic Byway, this one hundred sixty mile route would connect me with U.S. Highway 101 North. Having once pulled my travel trailer over the Trinity Scenic Byway, I recalled a very long trip, with many steep grades and tight turns. 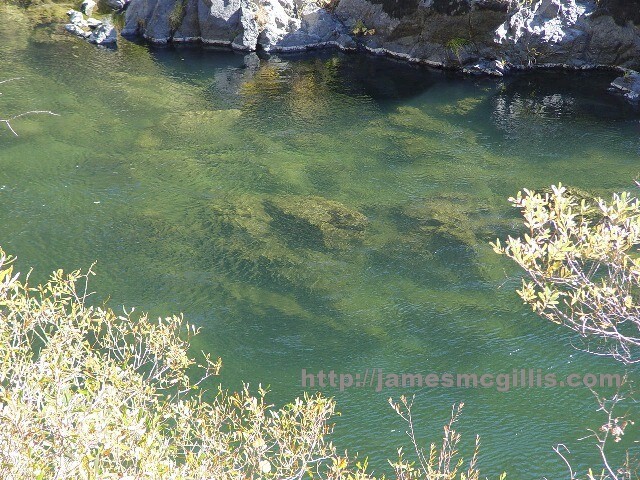 The trip to Arcata has mountain, valley and river views, all stitched together like a movie. That stretch of highway has only three intersecting highways, none of which connects quickly to the coast. 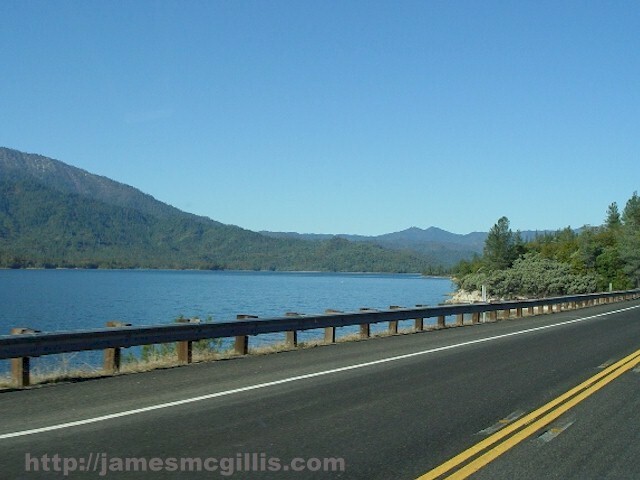 Once one commits to Highway 299, the only choices are to make the full transit, turn back or make your new home in Whiskeytown, Weaverville or Willow Creek. When the local museum features an exhibit on the legend of Big Foot, you know you are far from the beaten path. Our friend, Bob Weaver, tells us that the town is named after one of his ancestors, who won the entire town in a card game. 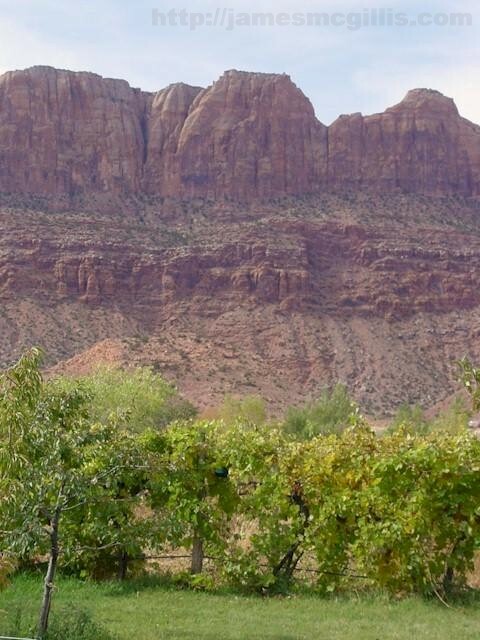 Rather than take possession of an unruly gold mining town, the earlier Mr. Weaver gave the town back to its original owners. His only stipulation was that they name the place after him, which they gratefully did. After shaking loose from the energies of Highway 299, I drove north on U.S. Highway 101. 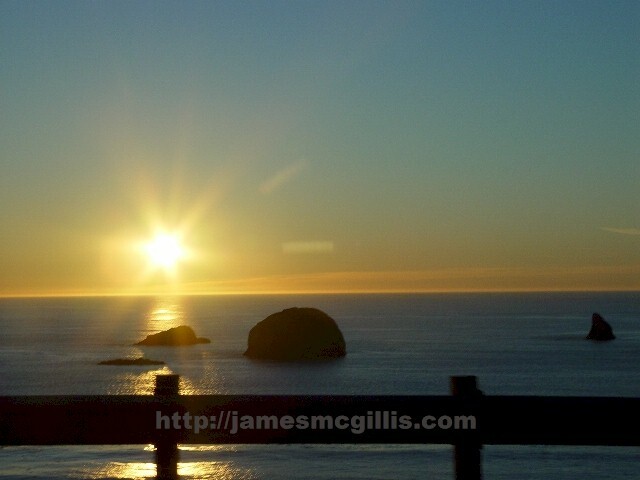 Near sundown, I turned off the highway near my mother’s house in Port Orford, Oregon. On a clear day, the sunset over the ocean along what locals call The South Coast is beautiful to behold. 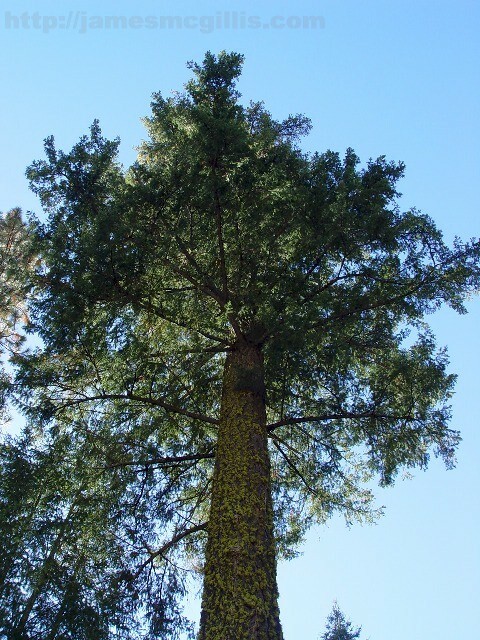 By the time darkness fell, I stood in the coastal forest that is my mother’s front yard. Several days later, my return trip to L.A. was just as beautiful. Although it had rained all night, a large storm cleared Port Orford at dawn. With the highway drying before me, I followed the clouds south along Highway 101. From the Gulf of Alaska to the beaches of Oregon, there is no intervening landmass to buffer wind or waves. Soon after the morning high tide, I traveled south past wave-swept beaches. At the surf line, outgoing and incoming waves met, stacking them up three-high. Standing perhaps thirty feet above the tide line, the countervailing energies of wind, wave and tide held the breaking waves, almost motionless in mid air. With a tumultuous release of kinetic energy, each giant wave would collapse toward the shore. As I saw it, no person or vessel could survive in that maelstrom. 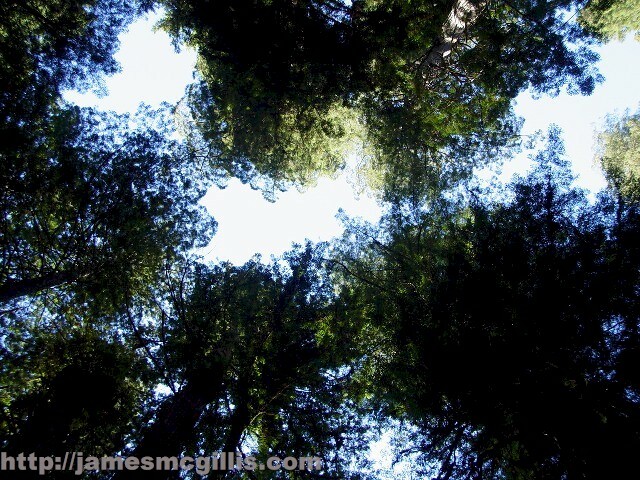 As I drove south into Northern California, the temperate rainforest of coastal redwoods lived up to its prior billing. The mists swept in from the coast and rain fell wherever a large grove stood. Where there were no trees growing on the land, no rain fell. As the storm cleared before me, traffic was light all the way to my next stop, in Berkeley, California. Glorious in their fall color, vineyards lined both sides of the highway between Geyserville and Healdsburg, in Sonoma County. Upon reaching the San Pablo Bay near sundown, I departed U.S. Highway 101 for the first time since beginning my trip in Port Orford, that morning. 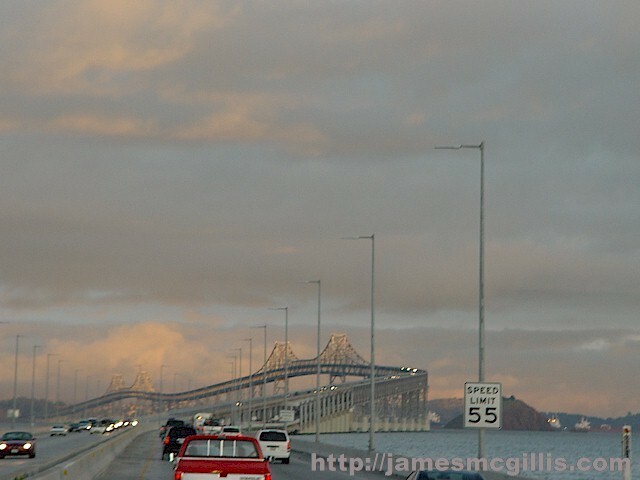 My route included a long causeway on Interstate I-580 leading to the Richmond – San Rafael Bridge. In order to offer one hundred eighty-five feet clearance for two shipping lanes below, the highway approach ramps are steep. Even with a top roadway height of two hundred feet, the bridge fails to provide a good view of the bay. Only from the eastbound causeway could we see the structure, first opened in 1956, shining in silver light. After a night in Berkeley, I traveled east on Interstate I-580, connecting then to I-5 South. Although known as one of the windiest places in California, not one of the many Altamont Pass wind turbines turned that morning. Perhaps it was calm between storms. Once I rejoined I-5 South, I put my Nissan Titan on cruise control. From there, until I again encountered the Ridge Route at Grapevine, it was time to set my mental cruise control and relax. On both sides along I-5, there are small signs that say “Congress Created Dust Bowl”. Although some of these signs stood near fallow fields of blowing dust, others were at verdant locations, thus diminishing the impact of the farmers' message. Although I disagree that Congress created water shortages and fallow fields in California, changing climate and water politics combine for an increased incidence of dust storms in California and throughout the West. At one point, I saw what looked like flakes of gold shimmering above the highway. Had a gust of wind raised a small part of the Golden State into the sky? Although the scene was reminiscent of the previous day’s rainforest showers, it was ominous to see the soil of yet another western state drying up and blowing away in the wind. Which event is representative of where our planet is going? Will it be healing rain or choking dust that rules our world? Only through the questioning of our collective consciousness shall we receive answers to those questions.